Veteran brewery Mt. 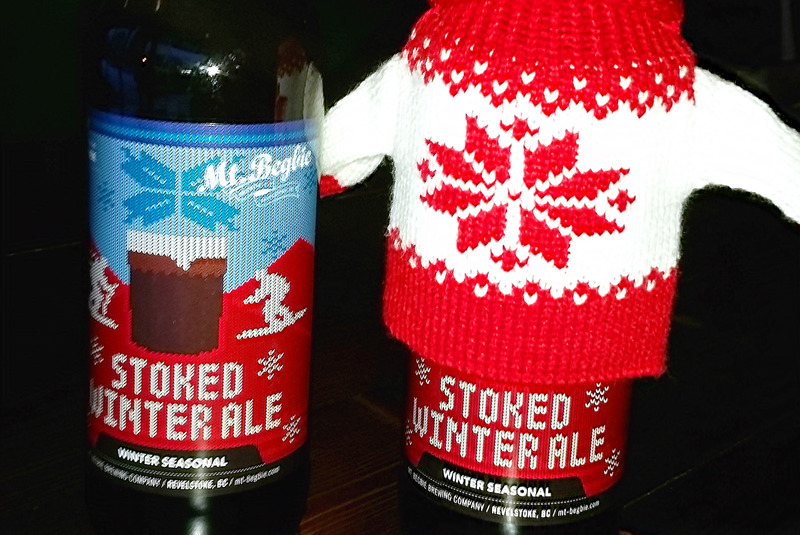 Begbie brings you its cold-weather seasonal, Stoked Winter Ale. 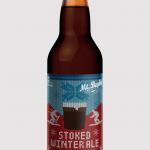 Now, given that the brewery is based in Revelstoke, you have to imagine that they know a thing or two about cold weather drinking. 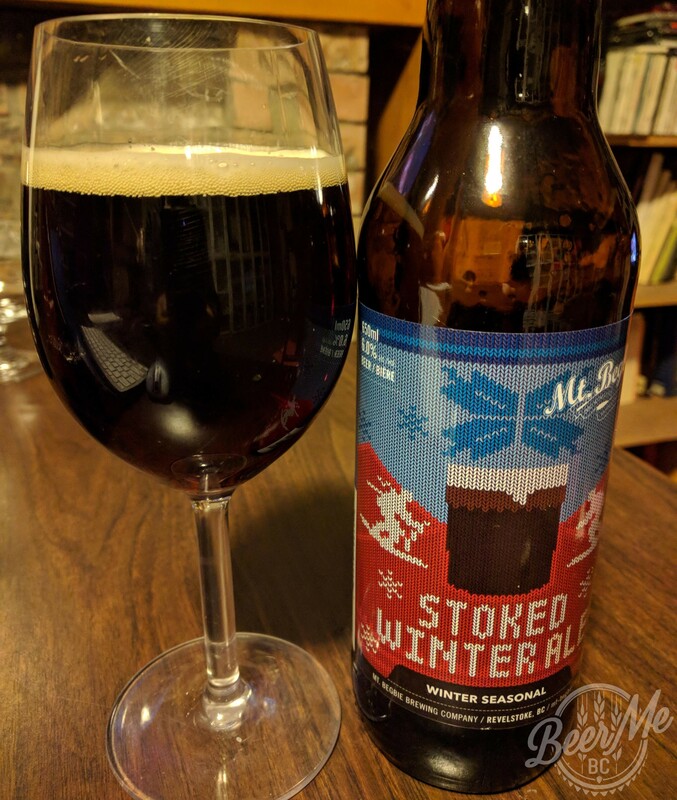 Let’s find out if this beer will keep us warm on a frosty Rocky Mountain night. 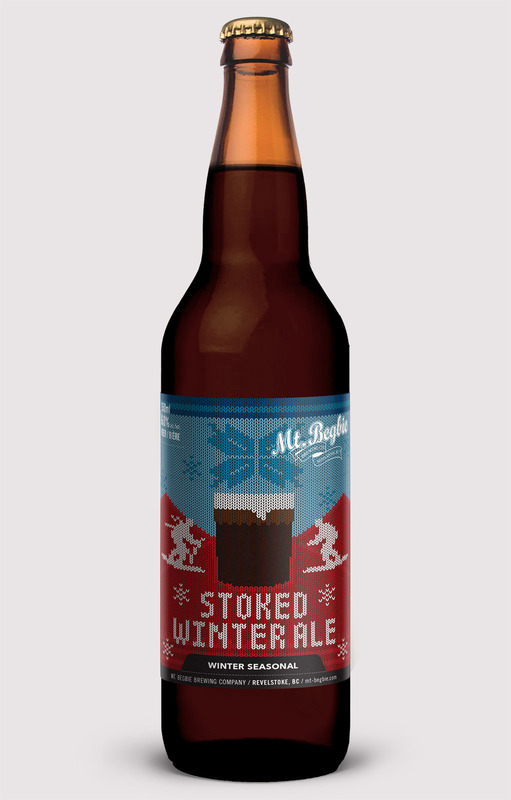 In some ways, Stoked is not your regular winter ale. Unlike most product packaging, this beer label actually lists the spices and additives used, which include nutmeg, cloves, cinnamon and cocoa. Reading the ingredients can create false expectations. When you see cocoa, you might expect a substantial chocolate flavour, but in this beer it’s more subtle than that. 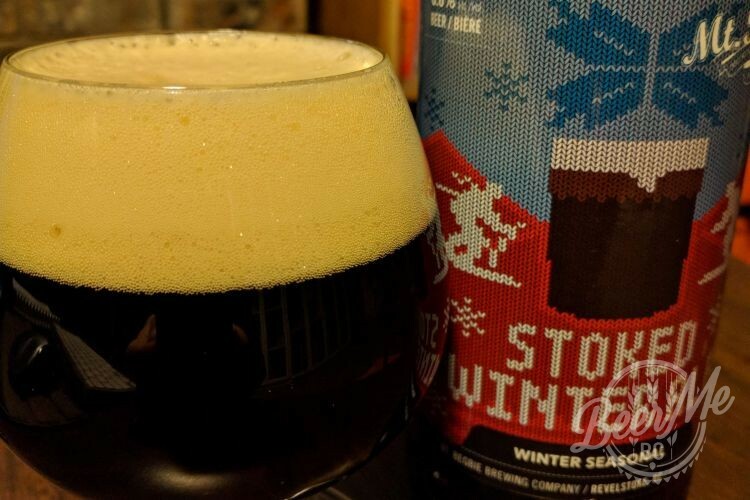 By the same token, unlike some other winter ales, this one isn’t over-spiced like a dark pumpkin pie. Having said that, the mix of additives might not be optimal and takes a while to acclimate to. 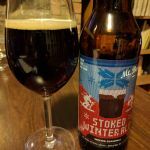 If you’re a winter ale fan, Stoked is certainly worth trying. Mt. 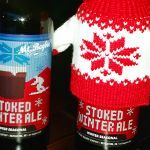 Begbie’s Stoked is not your regular winter ale. 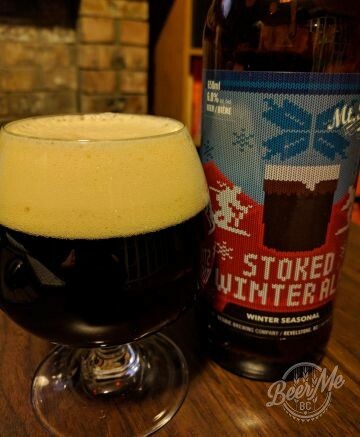 If you’re a winter ale fan, Stoked is certainly worth trying.